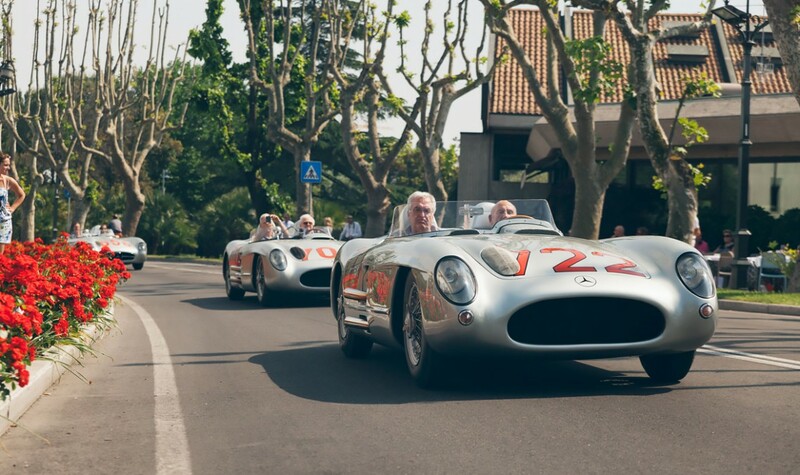 90 years after the legendary Mille Miglia dominated by the Mercedes-Benz racing cars, the Classic division of the car maker is celebrating the Italian 1000-mile race, entering no less than ten vehicles in the competition. 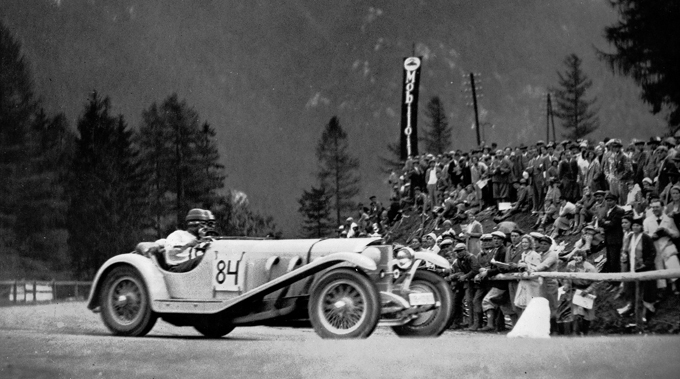 The cars come from different eras and will run the distance from Brescia to Rome and back as always, since 1927. This year’s race starts on 18th of May and goes on until the 21st, covering four stages. This year, Stuttgart-based grand brand will be joining the jubilee edition that takes place under the leitmotif of the “magic 7”: in 1927, the Mille Miglia took place for the first time, in 1947 it restarted after the Second World War, in 1957 it happened as a classic road race for the last time and it was reborn 20 years later, in 1977, as a historical motorsport event. Today, the only vehicles allowed to take part in the race are the models that participated in the original road races between 1927 and 1957. These are the classics that will run from Brescia to Rome and back in the month of May. It is looked upon as the most exclusive and fascinating model of the 6-cylinder supercharged sports cars of the Mercedes-Benz S-Series, the SSK, a designation standing for Super-Sport-Kurz (Super Sport Short). The 300 SL was the comeback of the company to motor racing after World War II. Limited resources blocked the development of a new car, so the racing 300 SL lifted the axles, transmission and engine from the 300 Saloon (W 186). It came though with an extremely light yet rigid space frame wrapped in an aluminium-magnesium sheet metal. Just as it was, it snatched one-two victories at the 24 Hours of Le Mans (France) and at the Carrera Panamericana in Mexico, as well as the top four places in the “Nürburgring Jubilee Grand Prix”. With its extreme looks due to the gullwing doors, the 300 SL standard-production sports car was presented in February 1954, at the International Motor Sport Show in New York. The high-performance coupé was based on the legendary 300 SL racing car (W 194) from the 1952 season and it boasted top speed of even 250 km/h. With a triple class victory in the 1955 Mille Miglia, the popularity of the car skyrocketed. 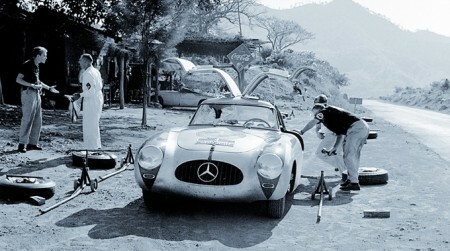 Between 1954 and 1957, a total of 1400 units of the 300 SL “Gullwing” were produced. 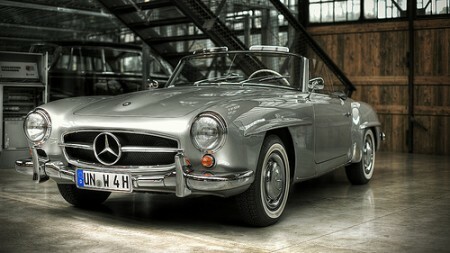 The 190 SL Roadster saw the light of day in 1954. From the stylistic perspective, the sportily elegant two-seater touring and utility vehicle was closely based on the 300 SL “Gullwing” sports car (W 198), but more closely related, technically speaking, to the Mercedes-Benz 180 “Ponton” saloon (W 120). It came with a newly developed 1.9 liter 105 HP engine and ran the Mille Miglia in 1956. A total of 25,881 units of this model were built, roughly 18,000 of them going to the USA. 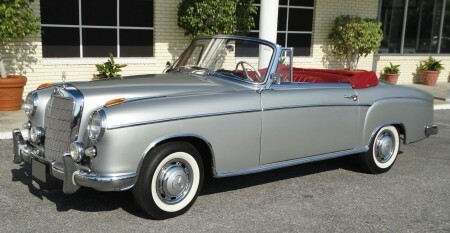 It came into the world in 1954, as the first Mercedes-Benz six-cylinder model with a self-supporting design. Several Mercedes-Benz 220s participated in the 1956 Mille Miglia in the class of standard-production special touring cars. They were equipped with the twin-carburettor system of the 220 S successor model, forcing the engine all the way to 115 HP. In addition, the driver could change gears via a floor shift, as in the 190 SL – instead of the otherwise fitted column shift.